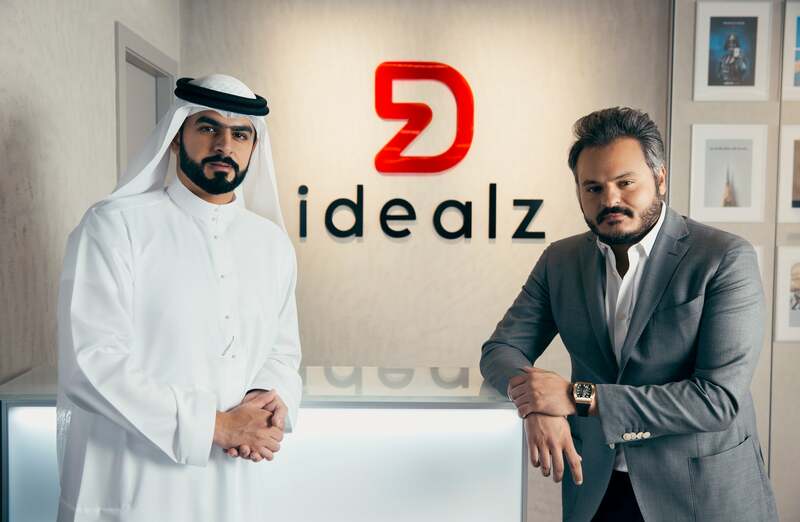 The ubiquitous success of e-commerce retailers worldwide is hardly deniable today, and enough to allow overlooking that the majority of its business models are still beset with bottlenecks in different areas- unless you refuse to turn a blind eye to this, as do the co-founders of Idealz, the latest in a string of promising startup ideas popping up in the UAE. Its marketing slogan reads that Idealz is “a stationery and garment online store with a twist,” with the twist being its premise of creating three-fold value for the customer, the business itself, and people less fortunate around the world. In their quest to create maximum value, Jad Toubayly and Easa Al Gurg have constructed Idealz as a platform that allows its customers (registered members) to purchase an item of clothing or stationery, which also gets them a complimentary ticket into a lucky draw for a luxury prize. For example, one of the campaigns running at the time of writing this article, offers a limited quantity (550) of porto boxes which include two pencils, a ruler, a sharpener and an eraser, for the price of AED525, earning a chance to win a Mercedes CLA250 AMG. Or, in another campaign, if you choose to be one of the 700 buyers of Kiru pencils for AED52.50 each, you might win a collection of tech products. Upon the purchase, the platform member is also given the option to either collect the purchased product, or donate it to Idealz’s affiliate charity partner, in which case the company will double their ticket entry into the respective campaign draws. The combination of highly sought-after luxury goods with items essential for those in need is compelling as much as it is intriguing, raising a question of how the two dots were connected- the answer to which sits at the heart of what Idealz is. Idealz claims to have more than 1,500 downloads per day, with the platform declaring a growth of around 30% month-on-month. Source: Idealz. With a modern-day innovation rush enveloping the globe, startup ecosystems’ stakeholders mainly search for it in a neighboring garage or at a never-ending tech hackathon. However, this story is different, and I’ve intentionally decided to present the people at the helm of Idealz only after explaining the concept in more detail. When we meet at the company’s headquarters in Dubai, they are both sparky and down to earth– probably because they see Idealz through the lens of already accomplished businessmen. Unlike other startup stories, Toubayly and Al Gurg agreed from the outset to keep this business a closed book for outside investors. Nevertheless, they did seek validation from a third party, which brings us to one of the world’s most sought-after investors, Dr. Finian Tan, founder and Chairman of Singapore-based Vickers Venture Partners, which recently raised Southeast Asia’s largest non-government linked VC fund of US$ 230 million (Fund V). Its Fund IV is considered the world’s best performing fund as per data by research firm Preqin. Nearly an hour into our conversation, I’m no longer surprised that Toubayly and Al Gurg boast neither about their own credentials nor of the people who have supported them. The Idealz co-founders have been supported by Dr. Tan, founder and Chairman of Singapore-based Vickers Venture Partners, who is best known for being the first investor in Baidu, often referred to as China's Google, back in 2000.Source: Idealz.